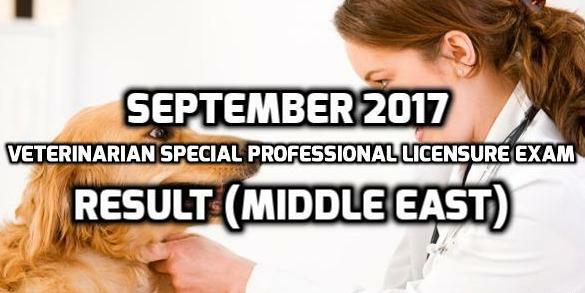 From the recent September 2017 Veterinarian Special Professional Licensure Examination in the Middle East, the Professional Regulation Commission (PRC) already revealed the list of those to pass the board exam last September 2, 2017. According to the commission, 16 applicants took the examination and only 4 of them passed successfully. The test venue is in Abu Dhabi (UAE), administered by PRC’s Board of Veterinary Medicine, and headed by the Chairman herself Dr. Ma. Elizabeth D. Callanta. The other board members who assisted the chair include Dr. Maximino M. Montenegro and Dr. Mariano LL. Jovellanos. For those who passed, it is important to visit the instructions of the commission through its official website (prc.gov.ph) online.